« Calantirniel’s Interview with Emily Carding, Author of Faery Craft! Calantirniel on the Guardian Gateway II Telesummit! Just in time for Cuiverë Quendiva – wow! The Telesummit Goddess, Kim Wilborn strikes again with the FREE Guardian Gateway II Telesummit! Perhaps you recall me sharing the now-complete Tarot Telesummit for September of 2013 on AstroHerbalist.com. I spoke on the fifth card in the Major Arcana, the Hierophant and experienced really amazing response. Kim was so excited, and I know ALL of you will be excited too! So, I have been placed on the schedule, along with other amazing speakers whose spiritual practices incorporate these archetypal portals to Source for life improvement in many areas! **UPDATE** I am also excited that the music of Jessica Rae Butler Peng will be featured! Here are all the teachers and their topics (times and dates vary – see TimeAndDate.com for your time zone). Theolyn Cortens – Your Guardian Angels Needs You! Dr. Monique E. Hunt – I Work With Spirit Guides, and You Can, Too! If that isn’t exciting enough – the MP3 downloadable recordings for a limited time are only $27.00 for the entire set! 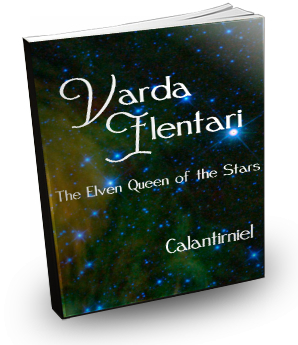 For the second option at only $10.00 more, you get amazing bonuses, including a bonus from me, Calantirniel: a PDF Ebook featuring my story of discovering the Star Queen archetype! Bonus Ebook with Option 2 Purchase – Limited Time 75% OFF! A version of this article was featured in the now out-of-print Llewellyn’s 2008 Witches’ Companion – and it is also yours if you purchase the second $37.00 option, again for a limited time – this is around 75% off! This is also a GREAT time to announce our own FREEBIE offer! If you sign up for updates on the progress of the highly-anticipated Elven Spirituality book, you receive not one but TWO FREE GIFTS! Find out more by visiting the Freebie/Updates Link – and we look eagerly forward to your participation – and feel free to share this post! Awesome! I will be tuning in !! I just wanted to say that as someone who helped found Tië eldaliéva back in 2005 and who has read the “expanded version” of her Star Queen article, I think that most people will enjoy it. Your contributions are still considered imperative too! Thanks for stopping by! Get TWO free gifts when you stay updated on the Elven Spirituality book release - Details? Click HERE! Other Ways To Stay Updated! 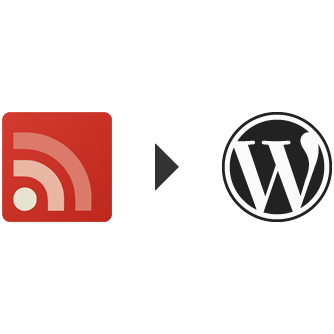 Google Reader is Gone - Try Wordpress.com Reader! Then, read your Wordpress.com blogroll here, and add additional blogs (or edit) here! Witchvox , Pinterest and Yahoogroups too! If you wish to contact us, we constantly check messages on the Facebook page, or via email here. Thanks for visiting the Elven Path's Blog! “Become The Force” Release Bodes Well for Those In Tolkien Elven Spiritual Path Also! Calantirniel’s Interview with Emily Carding, Author of Faery Craft! Earendil's iPhone/iPad App ElvenSpeak for Learning Elvish! Becca Tarnas – Comparing Jung and Tolkien! The Fellowship – In Elven Lands by Carvin Knowles: Excellent Re-Release!